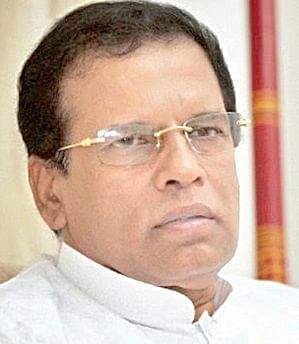 COLOMBO: Sri Lankan President Maithripala Sirisena has apparently decided to order early Parliamentary elections in the hope that it will yield a Legislature which will enable him to fulfill his poll promises, informed sources told Express. This is after he found the current Parliament to be a hard nut to crack. Elections will be ordered whether or not Sirisena’s pet project, the 19th Constitutional Amendment (19A) to reduce the powers of the Executive Presidency and depoliticise government institutions, is passed by Parliament in the coming week, the sources said. Sirisena’s governmental partner, the United National Party (UNP) led by Ranil Wickremesinghe, is also of the same view. The UNP is keen on quick polls to exploit the divisions in the opposition Sri Lanka Freedom Party (SLFP). Apart from the conflict between the pro and anti-Rajapaksa factions in the SLFP, there are contradictions between Sirisena and what is supposedly his own group in the SLFP, the one led by the Leader of Opposition, Nimal Sripala de Silva. The Nimal group has two aims: one is to prevent Rajapaksa from staging a comeback, and the other is to get Sirisena to ditch the UNP and form an SLFP government, using the party’s status as the single largest group in parliament. The applecart will be upset if there are early elections. To force Sirisena into submission, groups which have differences with him have threatened to deny him the two-third majority required to pass the 19A. They insist that electoral reforms be introduced along with with the 19A, when Sirisena and the UNP have said that electoral reforms, being complicated, should wait. The dissidents are planning to move amendments to the 19A which government cannot accept. To bring about a split between Sirisena and Wickremesinghe, they tried to get Sirisena and Rajapaksa to meet privately and patch up.